Alexandre Benalla was the star witness of a Senate commission investigating issues triggered by the May Day march at which the former aide was videotaped beating a protester. Benalla’s blows to a protester at the march, which had descended into violence, led to Macron’s most difficult period in office since he became president in May 2017. “I have a deep respect for the Senate,” Benalla told the commission. The commission, which has taken testimony from ministers, generals and other ranking officials, is trying to understand the nature of Benalla’s job at the presidential Elysee Palace and why he benefited from numerous perks, including permission to carry a gun. It is also trying to uncover possible dysfunctions in Macron’s security detail. Preliminary charges, including being involved in group violence, have been filed against Benalla, 27, and as a result questions about his actions on May Day are off-limits. Benalla’s apology led off nearly two-and-a-half hours of grilling during which he said he carried a gun for his personal protection — not the president’s — and insisted he was never Macron’s bodyguard. Benalla was identified in late July as one of two men seen in an online video brutally roughing up a protester at the violent May Day march even though he was present as an observer. “I am not a thug … a little ruffian,” Benalla said in reference to speculation that he was a hot-tempered man lacking the status of others at the presidential Elysee Palace. He was fired only when the affair became a political scandal and Macron is reorganizing the Elysee to address alleged dysfunctions. The belated firing of Benalla, and an initial light punishment, fed questions about whether the presidency under Macron had a hidden side that answered to no one with Benalla playing a critical role. However, Benalla admitted he carried a gun, occasionally into the presidential palace when returning from target practice — but for his own protection. “I wasn’t walking around on the president’s trips with my gun exposed. It was a guarantee for my own safety,” he said, adding that he was armed on such occasions only about three times. 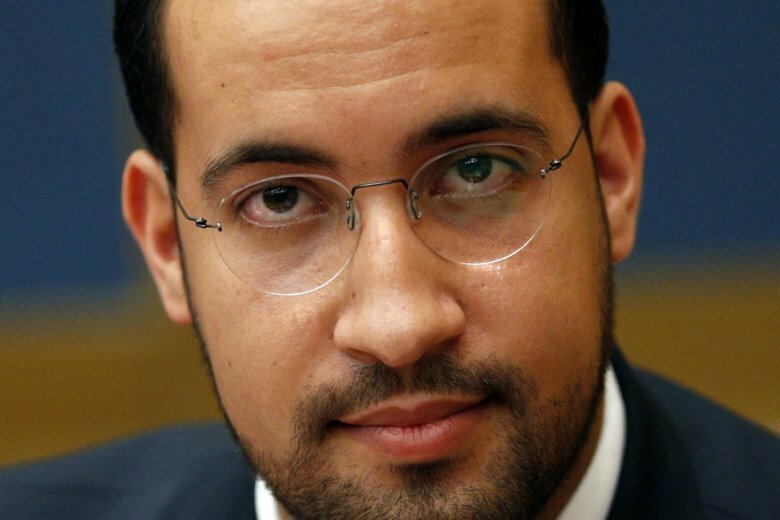 Benalla refused to explain potential threats to himself, indicating it was a question off-limits. “It was not for his personal safety,” he said. Benalla initially refused to appear before the commission but ceded when told he risked prison for refusing.